Mainz - While 1. FSV Mainz 05's recent Bundesliga record - a fifth-placed finish followed by two 13th placings - hardly suggest progress, there is nonetheless an air of optimism about the club going into Sunday’s match at home to VfB Stuttgart (kick-off 15:30 CET). 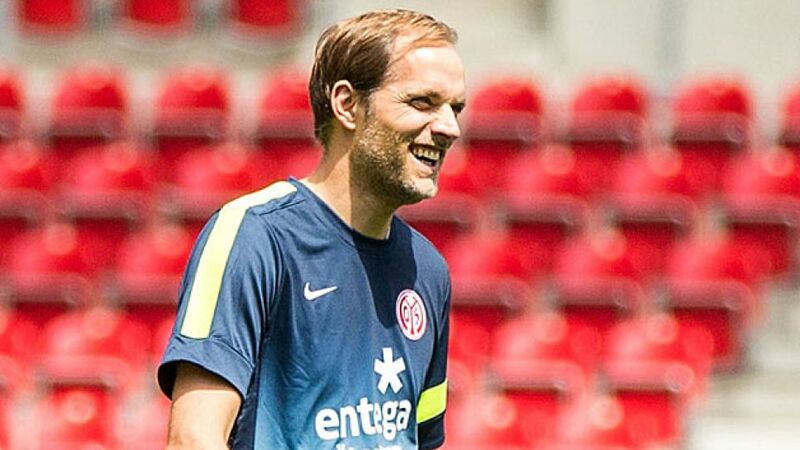 Coach Thomas Tuchel is looking beyond mere statistics at the side's performances and has been suitably encouraged. “We don’t want to minimise the strong development the team is making,” he said. “We have realistic goals.” Qualification for a European berth is not out of the question, despite the departure of last season's top scorer Adam Szalai to FC Schalke 04. “We have gained quality in every department,” he continued, including in attack, where Shinji Okazaki has been drafted in from Sunday’s opponents Stuttgart to fill the void left by Szalai’s defection. “You can feel that we are developing all the time,” added Tuchel. Fellow new recruits Dani Schahin and Sebastian Polter should add further weight to the Mainz front line, spreading the goalscoring responsibility across three pairs of shoulder, rather than just one. Stuttgart are also looking to improve their strike force, with Vedad Ibisevic currently bearing the burden single-handedly, having netted their last three goals in all competitions. Not that the Bosnian hit man minds much: “A striker is never happy with the number of goals they score and I always want to get more." The visitors are the more likely of the sides to burst out of the blocks, having already played three competitve games this term, with Ibisevic's goals firing them into the second round of the DFB Cup as well as the play-off round of the UEFA Europa League. Bruno Labbadia would have nothing against his star striker adding to that tally in Mainz: “We’re really looking forward to the start of the season and we want the three points."